Rudd met Charlette, a member of the Cree Nation and resident of Sandy Bay, Saskatchewan, Canada, through an Australian medicine man during a past tour to the North American country. Charlette, during his three-hour visit in the studio, sang traditional prayers with one in particular to Mother Earth, which made its way into the song “Footprint”- a contribution that Rudd feels is the most poignant part of the record. As for his live shows, Rudd works in the same manner as contemporary Keller Williams, performing as a multi-instrumentalist. He plays instruments like the bongos, a slide guitar, stomp box, harmonica and an assortment of didgeridoos - the latter instrument invented by Australia's Aboriginals about 50,000 years ago, which Rudd has been playing for about 15 years. For “White Moth,” the blond hair, blue-eyed singer/ songwriter enlisted the vocal prowess of Aboriginal singers in a similar fashion to a musician he heard as a child: Paul Simon. Simon featured South African singers on his work “Graceland,” and both albums capture a heightened sense of the divine because of such singers. “White Moth” also showcases the sounds of the Aboriginal musical group Yothu Yindi, drummer/percussionist Dave Tolley, bassist James Looker, and pianist and organist Panos Grames. Rudd, a native surfer to Bells Beach - along Australia's south coast near a town called Jan Juc - has been in the ocean since he was about 5 or 6. Growing up with all of the nature in Australia, Rudd has developed an extraordinary close relationship with living things all around. The album, primarily recorded at the studio, The Farm, in British Columbia, Canada, is Rudd's fourth work, and represents the musician's growth of his spiritual self over the last few years. Over this period, Rudd traveled the world on tour, along the way garnering fans with a liking for music that combines folk, reggae and rock. 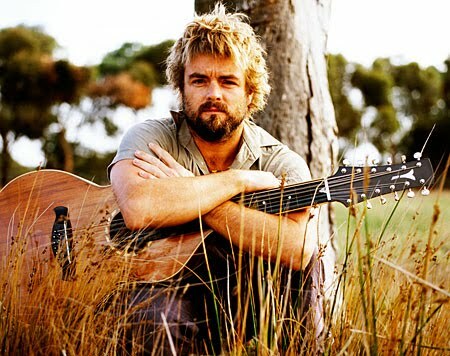 The lyrics for Rudd's songs draw upon times with friends, trips to Australia's historic Aboriginal territory Arnhem Land, and memories with his wife and their two children, which also inspired the title of the work, on the 30th birthday of Rudd's wife - the family was vacationing on an island off the coast of Sri Lanka.